Yesterday opinion play out well. 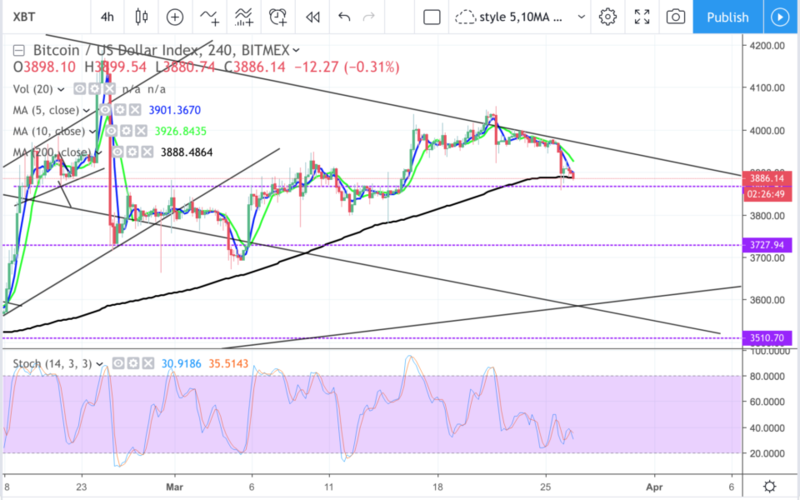 Now testing the support zone of 3870.Possible consolidation for awhile on 4hr chart forming possible mini descending triangle. Possible staircase pattern ahead down, with possible 2nd leg testing 3730 zone.